What colour line marks sealed road at a Give Way sign? What colour is the line painted on a sealed road at a Give Way sign? What colour is the line painted on a sealed road at a Give Way sign? The line painted on sealed road at a give way sign is white. Give way signs will be present at all crossroads that are sufficiently open to not require stops signs, any intersection that is unusual enough to have to define which traffic must give way, at t-intersections on arterial roads and at level crossings where a stop sign isn't required. Where there is a give way sign, and the road surface is suitable (i.e. not gravel or loose metal), there will be a line painted on the road in white. 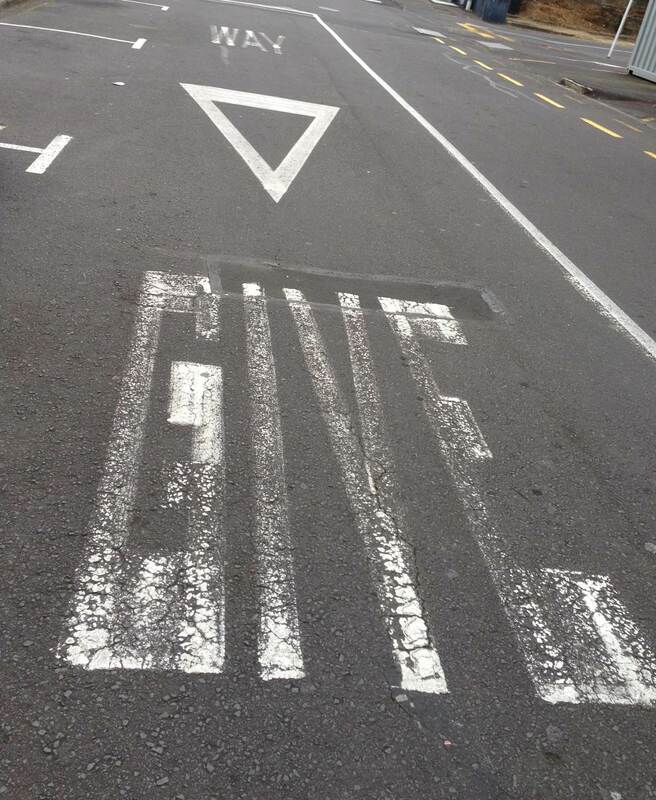 Looking at the colour of the road marking: if it's white, it's a give way.